Key stakeholders participated in the WeRise-RR focus group discussion and 1st CCADS-RR ARPM. BOGOR, Indonesia, 15 August —A focus group discussion with key stakeholders was recently held to introduce the prototype of a seasonal climate prediction-based decision support system. 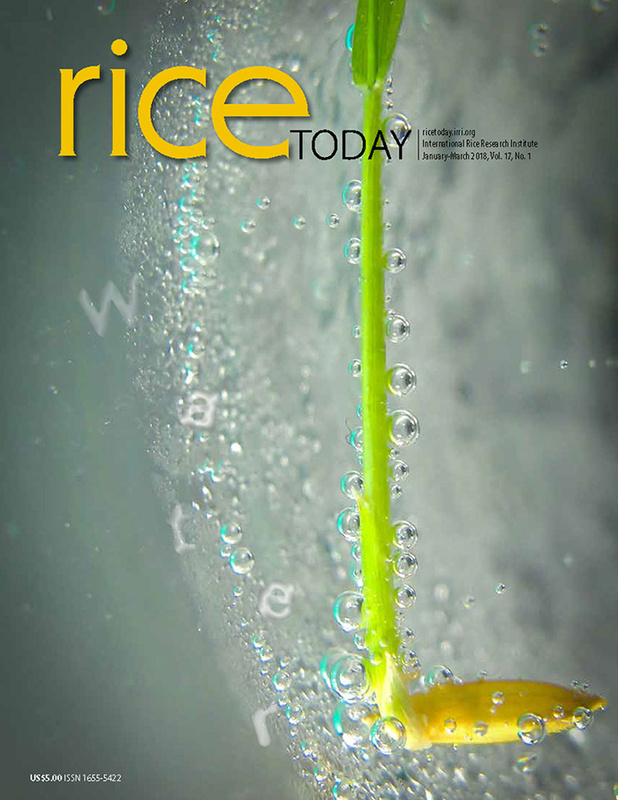 The app, called WeRise-RR, is designed to improve rice-based cropping systems in Indonesia’s rainfed areas. The focus was on how to effectively disseminate the new technology by considering the viewpoint of farmers. WeRise-RR is a new version of the web-based app originally developed in 2014. It provides rainfed rice farmers with crucial weather information such as the start and end of the rainy season and rainfall distribution. The app also gives farmers options on optimum sowing times, the variety to plant, and the timing of fertilizer application. Indonesians are among the world’s major rice consumers with an annual per capita consumption of around 127 kilograms. The country needs to increase its rice production by 8 million tons by 2019. Indonesia, however, has been widely affected by climate anomalies, such as drought, over recent years that have caused substantial damage to rice production. Lack of rain during the monsoon season makes it challenging for the country to achieve its targeted rice production goal. Erratic rainfall has made it difficult for farmers to determine when to plant their crops. So, the country's agricultural research and development programs have placed great importance on the rice sector, particularly through the framework of its national program for achieving self-sufficiency by increasing productivity and production of major food commodities. 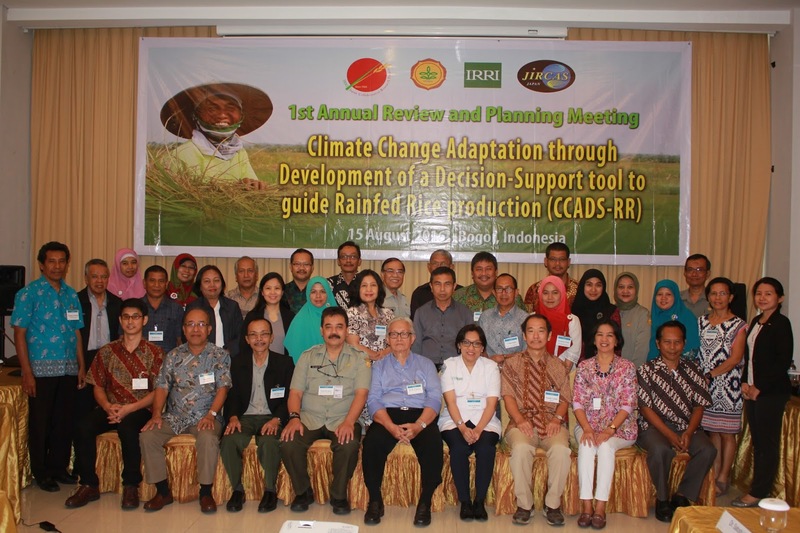 WeRise-RR was developed by the International Rice Research Institute (IRRI)-Japan collaborative research project (IJCRP) via its effort on Climate Change Adaptation through Development of a Decision Support Tool to Guide Rainfed Rice Production (CCADS-RR). It is aimed at contributing to the national rice program of Indonesia, the pilot country for testing this technology. Nelly Florida Riama, acting director of the Agroclimate and Maritime Climate Information Division, Badan Meteorologi, Klimatologi dan Geofisika (BMKG), expressed the importance of WeRise-RR in impact-based predictions. Dr. Zulkifli Zaini, IRRI representative to Indonesia, recommended that key institutions develop a joint proposal to use current resources and maximize the capacities of the various institutions that will play key roles in the dissemination of WeRise-RR. Key stakeholders who attended the focus group discussion to express their strong support were Dr. Suyamto Hardjosuwirjo, former director of the Indonesian Center for Food Crops Research and Development (ICFORD) and senior researcher at the Assessment Institute for Agricultural Technology (AIAT)-East Java; Dr. Widi Hardjono, director of the Agricultural Training Center; Dr. Prihasto Setyanto, head of the Indonesian Agricultural Environment Research Institute; Nelly Florida Riama, acting director of BMKG; Dr. Andriko Noto Susanto, head of AIAT-North Sumatera; Dr. Saleh Mokhtar, head of AIAT-West Nusa Tenggara; Dr. Hasil Sembiring and Dr. Achmad Mudzakkir Fagi, former members of the IRRI Board of Trustees. The focus group discussion was held back-to back with the CCADS-RR 1st annual review and planning meeting. The review focused on the progress of the collaborative work by project partners. The presentations were made by Mrs. Nurwulan Agustiani, Indonesia Rice Research Institute (ICRR) researcher and CCADS-RR national project coordinator; Mrs. Sri Rustini, AIAT-Central Java researcher; Mr. Lalu Wirajaswadi, AIAT-West Nusa Tengara senior researcher; Mr. Yohannes Krisnadi, AIAT-East Java senior researcher; Mrs. Idri Hastuty Siregar, AIAT-North Sumatra senior researcher; Mr. Nasruddin Razak, AIAT-South Sulawesi senior researcher; Dr. Satoshi Uchida, Japan International Research Center for Agricultural Sciences (JIRCAS) Social Sciences Division head; Dr. Maria Excelsis Orden, Philippine Central Luzon State University professor and division chief; and Dr. Romeo Cabangon, IRRI associate scientist . There were 37 participants who attended the back-to-back events co-organized by the office of Dr. Ali Jamil, ICFORD director and ICRR acting director. The IJCRP on CCADS-RR, which was implemented on 1 October 2015 and will end on 30 September 2020, is funded by the Japan Ministry of Agriculture, Forestry and Fisheries and JIRCAS.